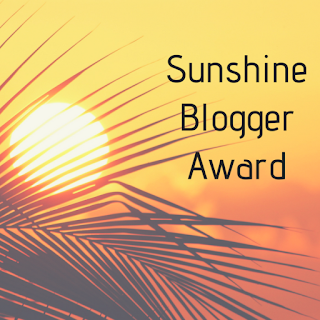 The Sunshine Blogger Award is an accolade given by one blogger to another in recognition for work that they find creative, inspiring and positive. I am incredibly honored to be nominated knowing that it comes from a fellow science blogger! 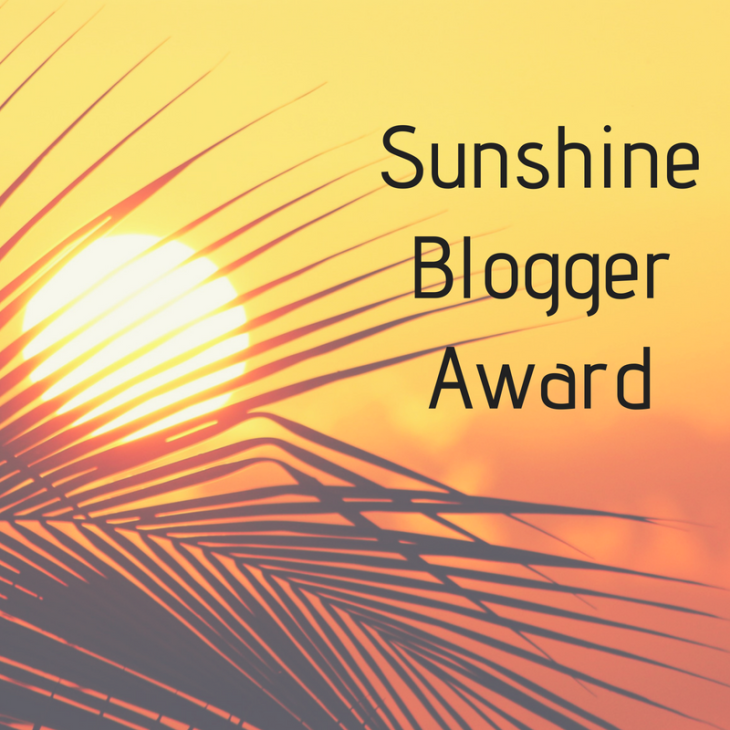 A couple weeks ago I was nominated for the Sunshine Blogger Award by the amazing group Seeking Science! 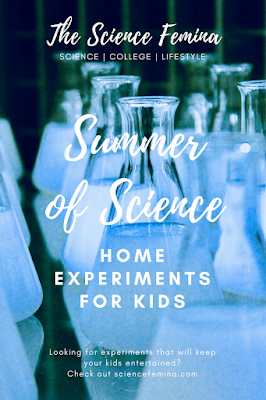 Seeking Science is comprised of 4 women in multiple scientific fields, which makes their overall collective blog quite insightful and intriguing due to the wide range of topics they cover. Not only are they sharing their love of learning, but they're active role models for any woman looking to pursue a career in medicine, scientific publishing, and biology. So, thank you, ladies, for the nomination, I couldn't ask for a better nominator! What is the meaning of the title of your blog? When I was planning my blog, I wanted a name that described myself and my purpose for blogging. My teaching and blogging ideology are based around making science accessible for all and helping other women and POC enter and stay in STEM. I knew for sure I wanted something about science or chemistry in the name along with something that showed I was female. Eventually, I settled on Science Femina because Science is general and accessible to the public and Femina depicts my latina background. 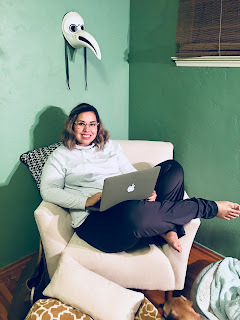 I started blogging because I'm the first generation in my family to have a bachelors degree in anything and the first to pursue chemistry; with that obstacle, I also didn't understand how to work the college/university system. I strongly believe that the only reason I made it as a biochemist is because of the amazing mentor and support system that I had while attending my JC, College of the Sequoias, and the University of California, Santa Cruz. With that experience, I wanted to give back to my community, whether it local or on social media, so that other women and POC feel inspired and have someone to help them along their academic journey. I was interested in science when I was a little girl, but my parents worked so much as Radiologic Technologists that I didn't want to go into the field. Actually, all the way up until my senior year of high school I wanted to be a Sign Language Interpreter. However, my senior year I enrolled in Anatomy and Physiology, Honors (mostly because my parents are X-Ray and CT Techs so I knew the info like the back of my hand and thought it would be an easy A) and fell in love with how drugs affected the body. I remember learning about voltage-gated sodium channels and how they trigger pain-sensing nociceptors and I was pretty much sold on the whole biochemistry thing after that. What do you find the most rewarding and most challenging about blogging? The most rewarding thing about blogging is meeting other amazing scientists and science bloggers from all over the world. I feel so reassured in my career when I see other scientists going through what I am and thriving in their careers/research. I also love knowing that I'm making an impact on younger scientists and helping them reach their goals as well. The most challenging part of blogging is making sure that I actually post ever so often. I've been pretty bad lately about keeping my followers up-to-date so I need to work on that this upcoming school year. In a year's time, I would hope that my blog is still up and that I'm bringing in more readers. I also hope that I'll have more great stories and advice for my readers since I'll be finishing up my master's degree and will be applying for Ph.D. programs. SO DEFINITELY STICK AROUND! I would want to visit Mexico City, Mexico to see all of the culture, folklore, architecture, and the Frida Kahlo Museum. I also may be slightly favoring it because I love tequila haha. Would you rather go back in time or to the future? Why? Hmmm, I think I would rather go to the future just because I don't want to change the present on accident. Also, I'm quite interested in seeing what I end up doing with all of these degrees that I'm so keen on collecting. Do I become a professor? A scientific writer? Industry? My life partner and I met at a coffee shop and started talking because we both love that book. And now we're renovating our first home together. I prefer Instagram for sure, mostly because there isn't a word limit. I also feel like there is a bigger SciCom community on there. What has been the most exciting thing to come out of your blogging experience so far? The most exciting things to come from blogging so far are probably receiving this award and having my words and experiences validated, but also when I first started having a decent amount of people reading my posts and engaging. Nothing feels better than knowing your content vibes well with other people. Usually, there is a misconception or misunderstanding that I somehow come across at school and I address it there. However, if these misconceptions or misunderstandings are happening on my campus then they are probably also happening on other campuses, so I usually write a post addressing it with mine and others opinions on the subject. But mostly, I feel like if I can save another young scientist the grief of experiencing something that I could have steered them clear from then I feel like my blog is more than an outlet or hobby. When did you realize you wanted to be a scientist? What motivated you to go into the sciences? What inspired you to pick your current university/location? Have you ever been hindered by being female in the science field? What is your favorite part of grad school or your career? What is the hardest part of grad school or your career? If you had to change your career what would you pursue?